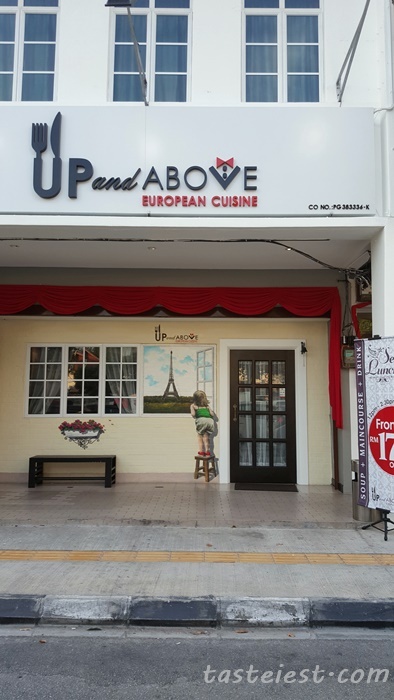 Up and Above European Cuisine Restaurant is a newly open restaurant located at Pulau Tikus, running by a young and talented Chef who has great year of culinary experience in Europe and other country. 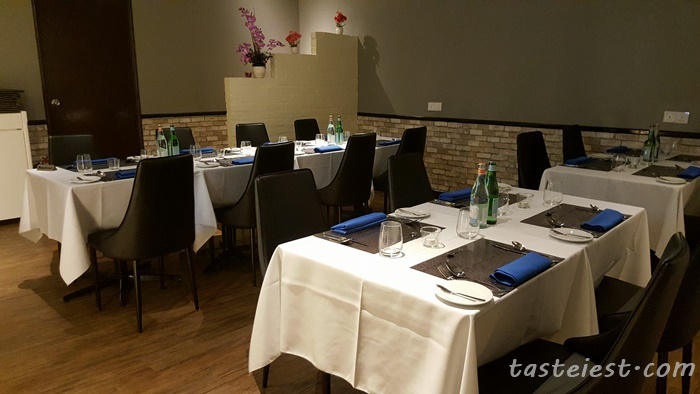 Comfortable interior with great ambiance, private room are available private function. 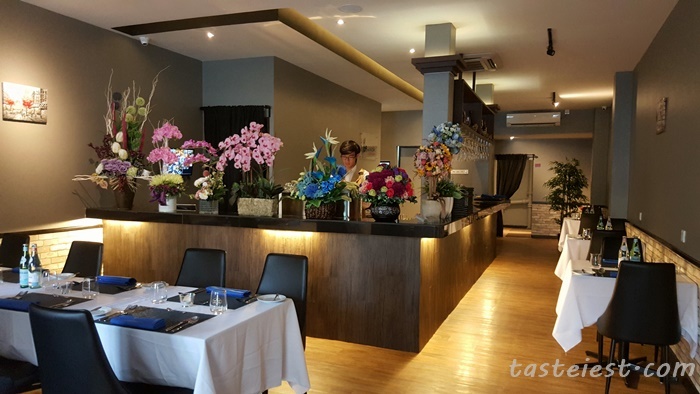 3 Course Meal Set Lunch starting from RM17 only while 5 Course Meal Set Dinner starting from RM78. Pretty reasonable price for the food quality and environment. Butter and Chef special Truffle Butter. 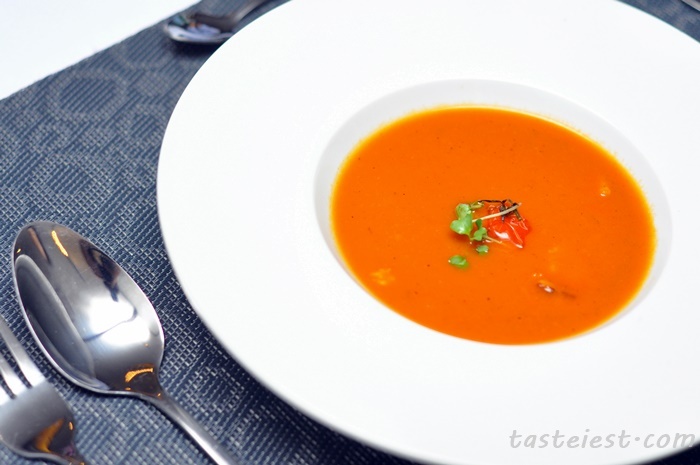 Roasted Tomato Bacon Soup RM16, pure tomato puree with add on bacon which are extremely appetizing. 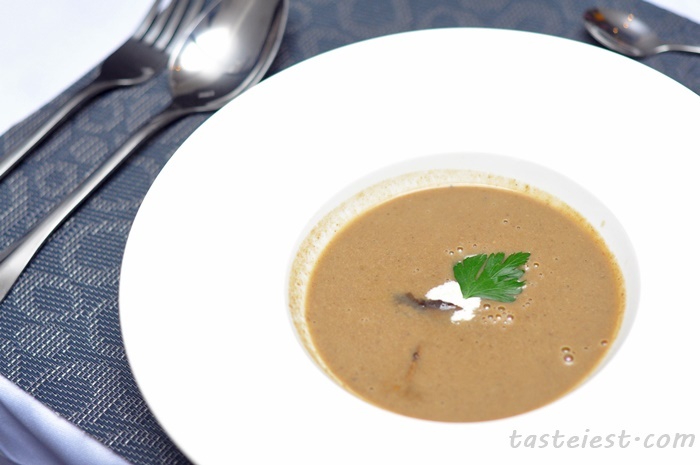 Mushroom Soup RM17, thick and creamy mushroom soup with tiny chunks of mushroom. 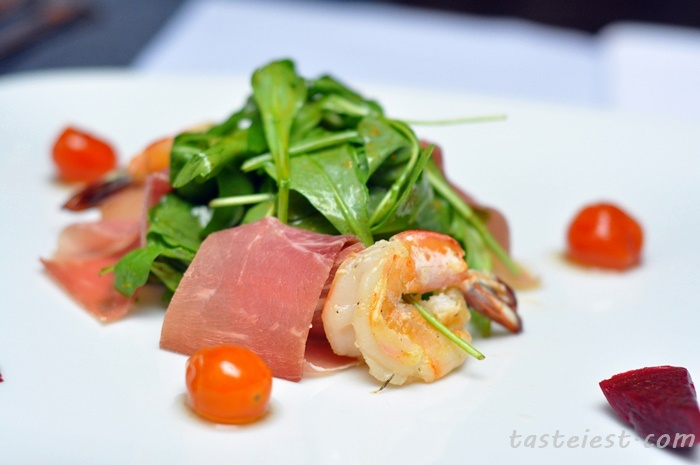 Prawn & Prosciutto Ham Salad RM33, my favorite rocket leaf served with prosciutto and salted prawn top with pink peppercorn dressing. Well balanced flavor. 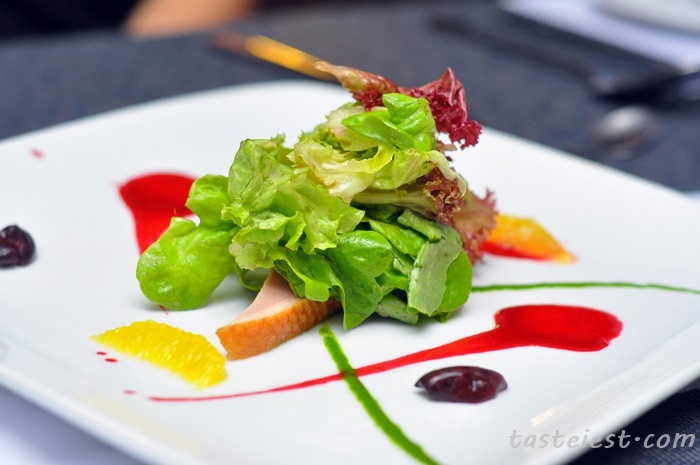 Smoked Duck Salad RM25, I am in love with chef presentation on salad, it is a piece of art. Great combination of various fresh vegetable with cheese, orange and red wine. Smoke duck are nicely done to flavor and texture. Braised Pork Cheek with Red Wine RM38, tender pork cheek nicely cook with red wine that fully absorb wine sweetness and it is so tender. 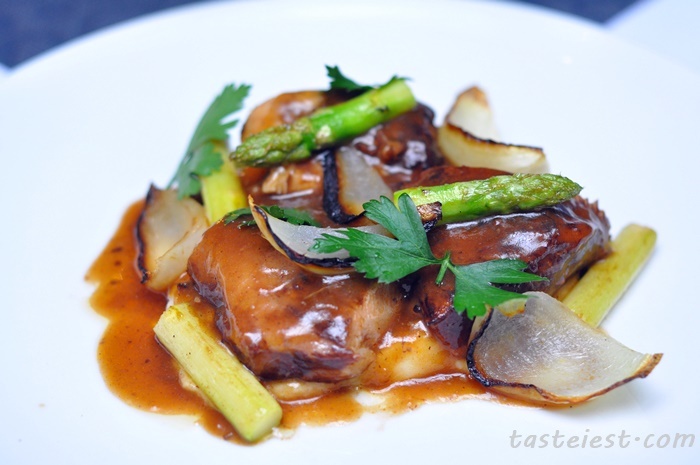 Serving with oyster mushroom, onion and asparagus. 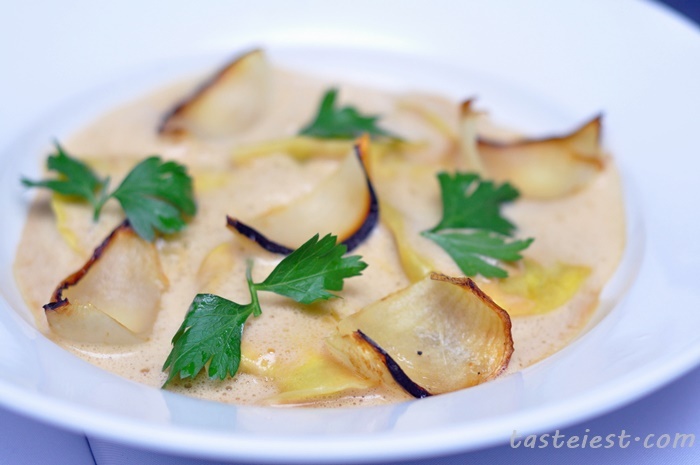 Lobster Ravioli in Crab Bisque RM65, creamy and rich flavor crab bisque served with lobster ravioli. 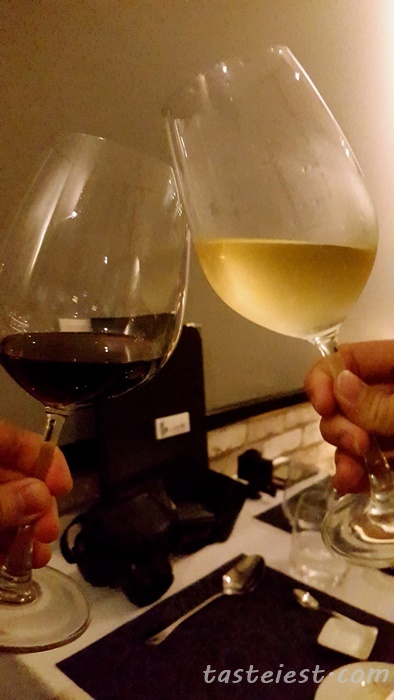 Although the portion is rather small but the taste worth the value. 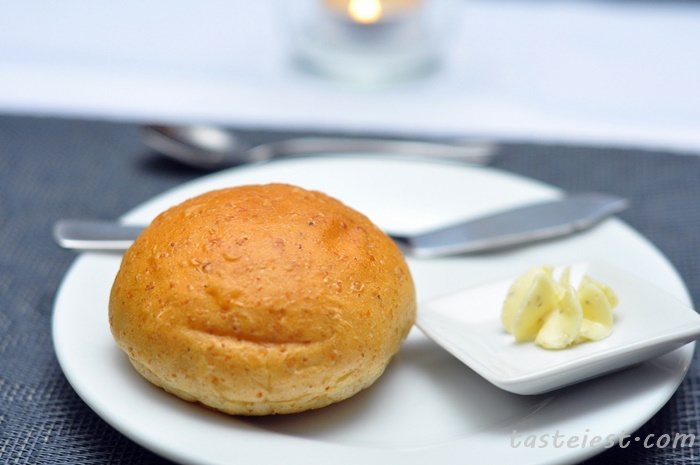 It is so rich in flavor, full of crab freshness taste and lobster meat are nicely done to texture as well. 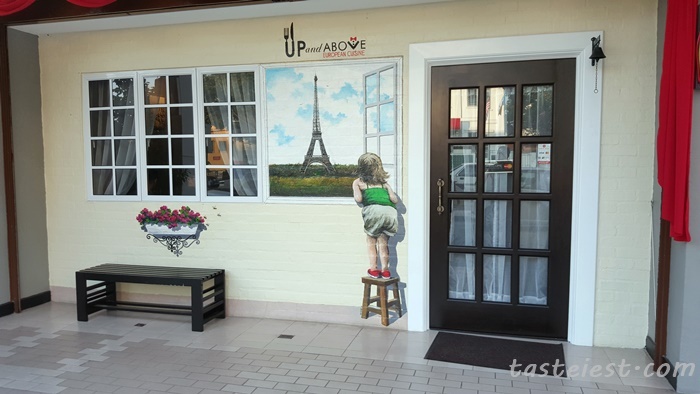 Roast New Zealand Lamb Saddle of Loin RM98, juicy lamb meat served with ratatouille, potato and green pea puree. 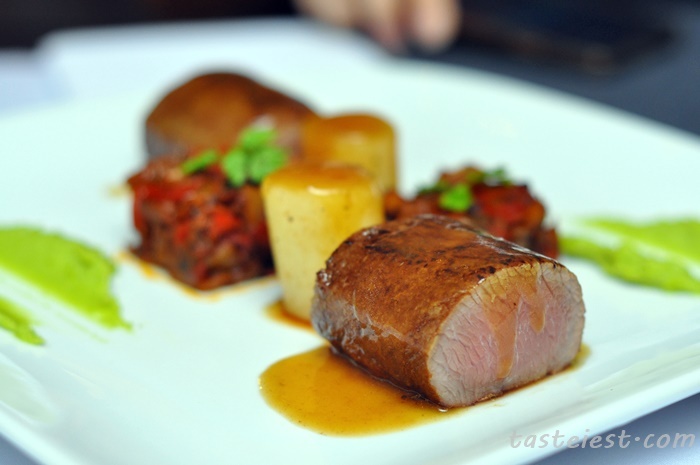 A small cut of lamb with ratatouille create the best combination of flavor. 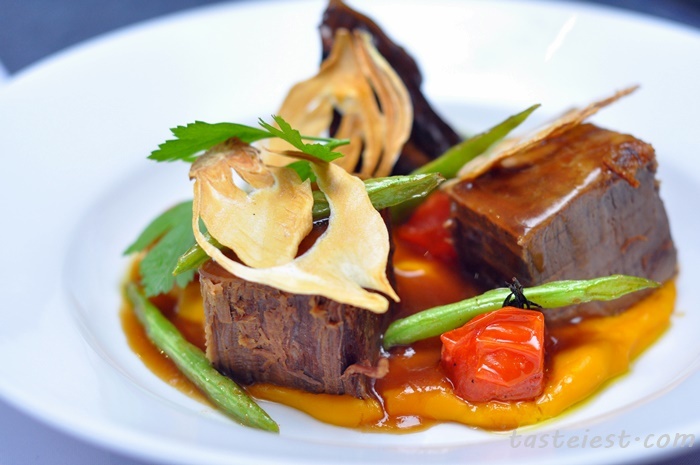 Braised Australian Beef Brisket RM68, chef surprise us with what we think about beef, completely different from our expectation. The big chunk of beef brisket is nicely marinated and braised to flavor, it is so smooth in texture and full of flavor. The onion chip not only look awesome instead it taste great, a little bit of bitter and sweet taste. 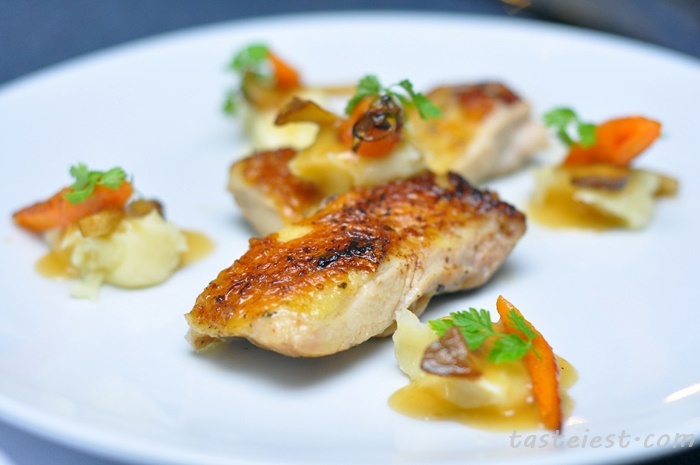 Sous Vide Flavourful Herb Chicken RM30, two pieces of chicken thigh grilled to perfection, season with rosemary herbs which are pretty strong in flavor. 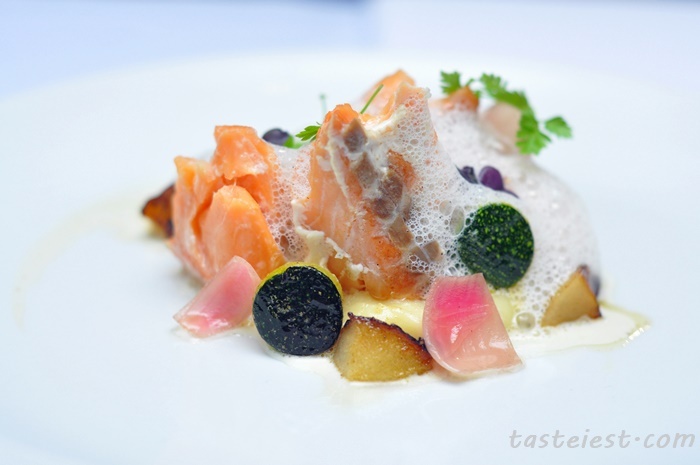 Seared Artisanal Smoked Salmon RM58, such a mystery dish. Served with a glass dome that covering the dish with “smoke”, immediately after open up the dish we smell very strong smoke flavor and witness the awesome Salmon presentation. Served with caramelized apple, zucchini and onion pickle. Bottom are fill with mash potato and dressing with vanilla foam. 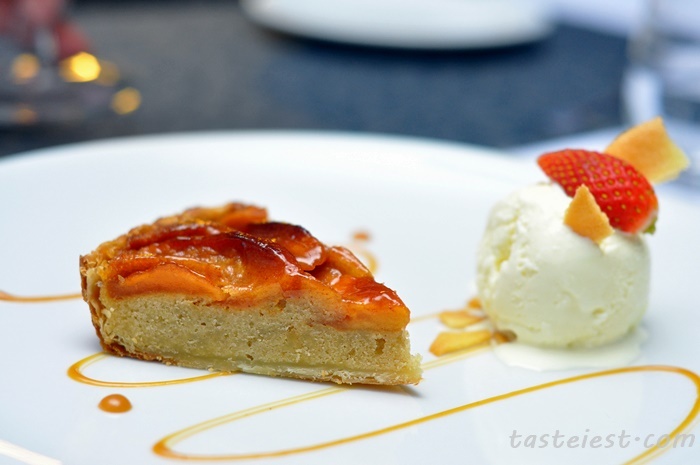 Tarte Tatin RM18, apple tart with rich cinnamon flavor served with a scoop of vanilla ice cream. 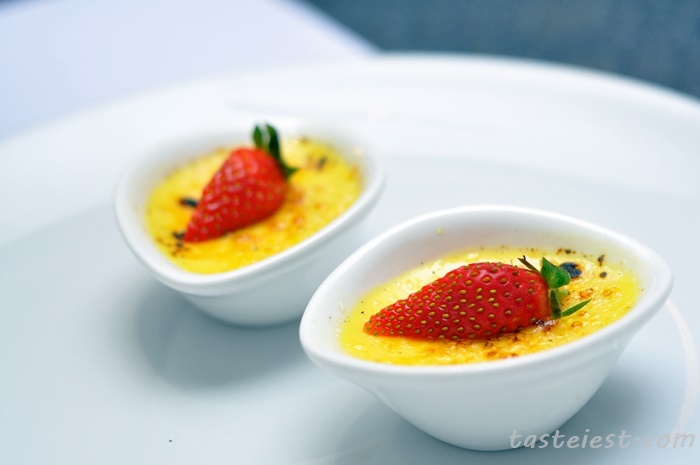 Crème Brulee RM12, served in pair which are vanilla and orange flavor. Thin crust on Crème Brulee gave it a bite texture yet there is smooth creamy texture follow up. 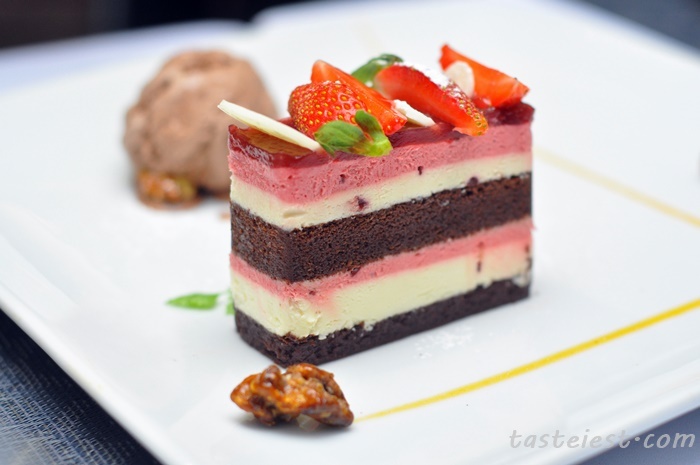 Raspberry Mousse Cake with Fruit RM28, raspberry sauce with sweet mousse cake will never go wrong, it is very soft and smooth, not too sweet as well. The caramelized walnut surprise us, never know that walnut can be so tasty. 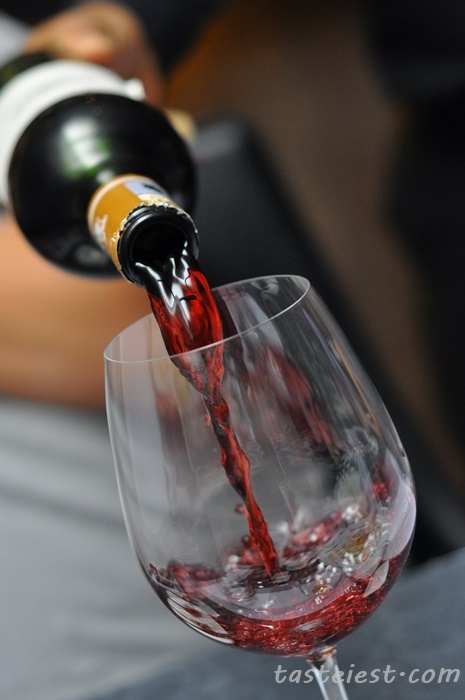 Extensive range of Red/White wine available for selection as well, definitely a good idea to pair with the great food.